2017 sees the 20th anniversary of the tragic death of our beloved Diana, Princess of Wales. 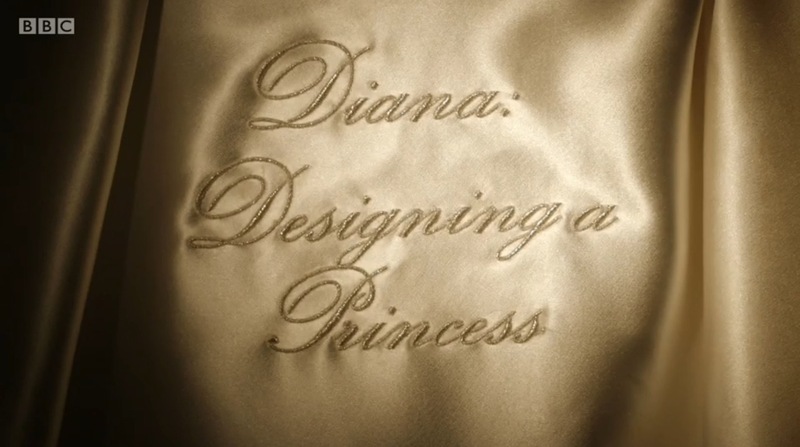 To mark the anniversary, BBC Two has made a documentary called ‘Diana: Designing a Princess’ to celebrate the Princesses sense of style and fashion. Hawthorne and Heaney are excited and grateful to say we played a small part in this by embroidering section titles for the documentary. 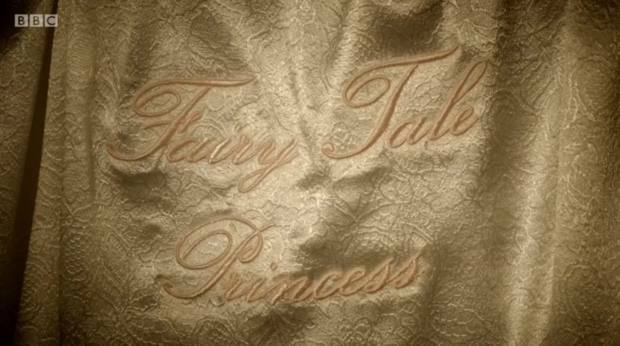 As one of the most famous women on the planet, this programme traces the evolution of the Princess’s style, ‘from the demure, romantic outfits of her first public appearances’. She captured the hearts of the world and elevated to the ‘glamour, elegance and confidence of her later life’. Princess Diana Dancing with John Travolta on her visit to America at President Reagan’s White House Gala in 1985. The BBC2 documentary is presented by Brenda Emmanus, BBC’s Art, Culture and Entertainment correspondent and was produced in collaboration with the Historic Royal Places. Brenda looks at some of Diana’s ‘most celebrated and exquisite dresses’, which have been brought together for a new exhibition at Kensington Palace – open from 24th February 2017 and runs until March 2018. Brenda then visits the Conservation Studio at Hampton Court Palace as the dresses are prepared for display. 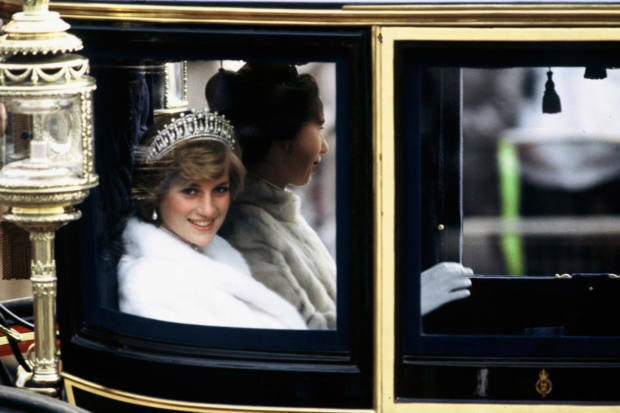 She hears from historians, cultural commentators and the designers who dressed Diana, including Elizabeth Emanuel, Victor Edelstein and David Sassoon. Exhibition curator Eleri Lynn says that Diana, was ‘an excellent silent communicator through her clothes’ and this can be noted in the so called ‘Revenge Dress’ she unveiled on the night Prince Charles admitted adultery. Diana broke away from the traditional image of royal outfits and created her own image as a modern princess. This year, the Princess would have turned 56, which seems unimaginable and this exhibition and documentary is a perfect way to understand Diana’s fashion choices and to celebrate Diana. 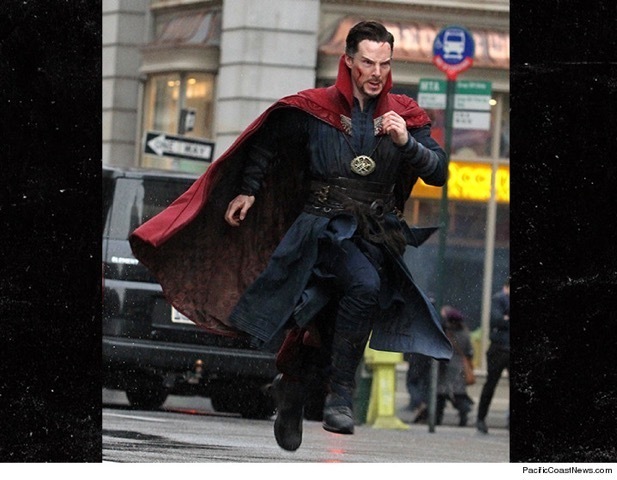 The documentary is still available to watch on BBC TWO. On Friday night, Hawthorne & Heaney were a few of the audience members to watch the the fashion show of Joshua Kane’s A/W 2017 collection. Held at the London Palladium, it was a grand affair with 2250 people eagerly watching as Kane wanted to be able to share the experience with his fans as well as the high fashion crowd. Therefore, tickets were available for anyone to buy, attend and enjoy. Entitled, ‘Journey’ the brand did not disappoint with an amazing set of intricate lattice work depicting a early 20th century tube station, newly built and creating a social microcosm of it’s own as the classes mingle. On this we were introduced to the narative with a couple of models interacting briefly before the main body of the show got started. The shows itself was crisp, sharp and well polished as is only fitting for a Joshua Kane collection. Not only was this show unusual to be shared with the wider audience in this way, but was also Kane’s first show that was an equal split of mens and womenswear. The line up finished with the three looks which Hawthorne & Heaney produced embroidered pieces for, in the form of a horse head, with chess board, military and heraldic influences. The show finished with a moving performance by the two models/dancers that we were introduced to at the start. As always it was lovely to be involved in an exciting project like this, particulally with such as beautiful outcome and was wonderful to see them on their debut in person. If you would like to seemore of the collection follow the link here. We are looking forward to what they produce for next season already! 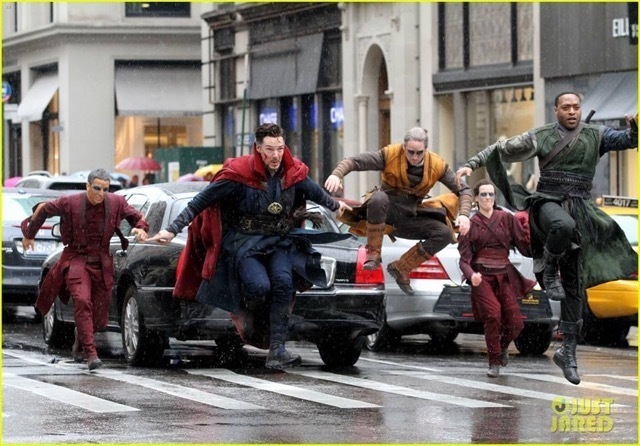 Following on from our previous release of the work we have been doing for the new Marvel blockbuster; Dr Strange, some new action photos have surfaced of the filming in Manhattan. 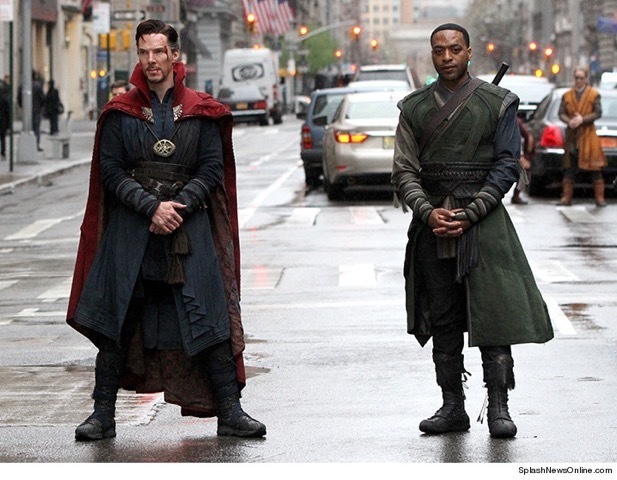 It is wonderful to see the costumes as they move as well as seeing the vermicelli embroidery on the red cape against the cross stitch CAD down the front of the robes. 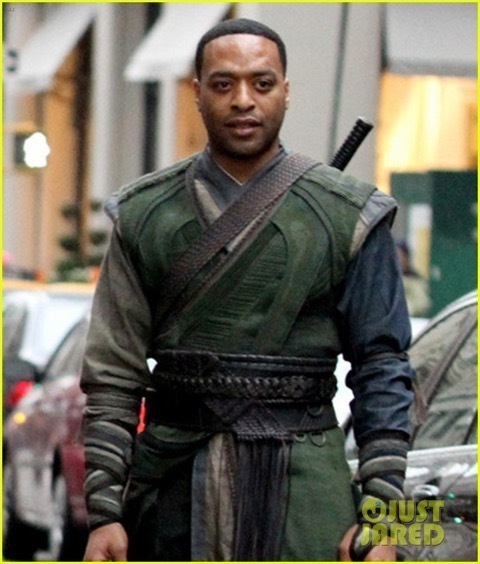 These are the first shots of the fully constructed Baron Mordo costume we have seen which is really exciting to see the embroidered pieces in the context of the rest of the costume. 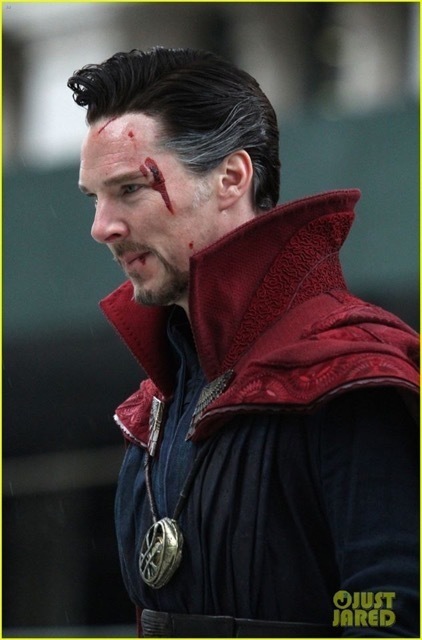 We just cant wait to see the whole movie now! 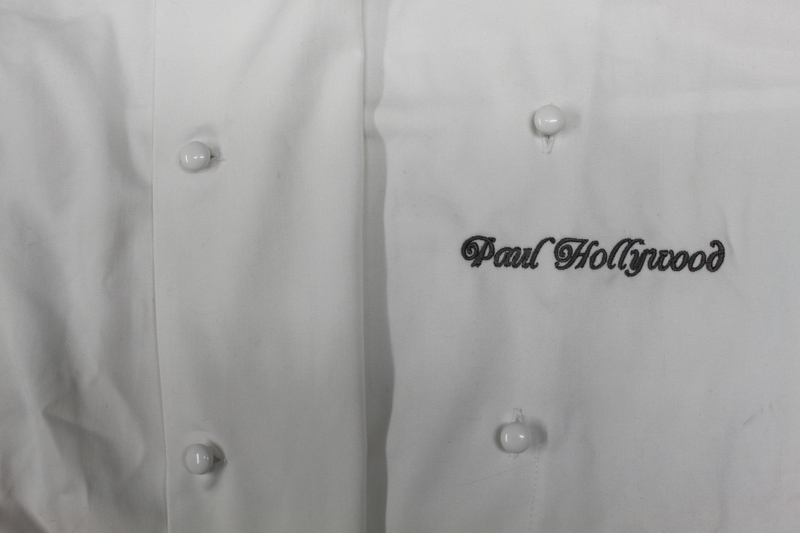 Last week Hawthorne and Heaney had the privilege of embroidering some chefs whites, said to be for none other that the ‘Bake Off King’ himself! Here are some photos of the finished piece. 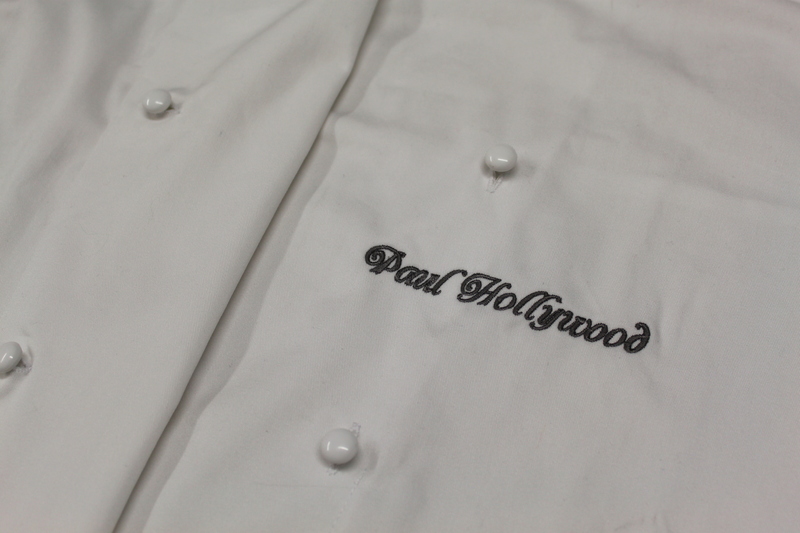 We look forward to seeing Paul Hollywood wearing his personalised whites on television, hopefully very soon! 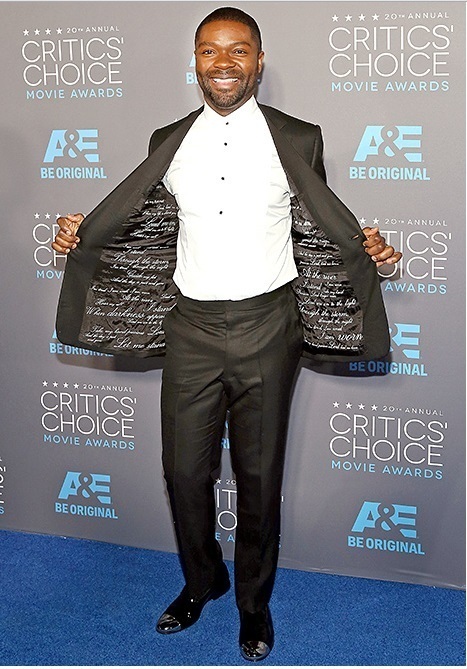 Just a quick one from us this week, we thought we would share a picture of David Oyelowo in his Huntsman Tuxedo at the Critics Choice Movie Awards. He took the opportunity to honour Dr. Martin Luther King, whom he portrays in his latest movie, Selma by having the lining embroidered by Hawthorne & Heaney with the words from one of King’s favourite hymns ‘Take My Hand, Precious Lord’.